I would think she has a bit too much of a commanding presence for the mild Mrs. Fairfax, but on the other hand, she’s also a damned fine actress, so she should be able to pull it off. Anne Elliot of Persuasion ’07. I can see her as similar to Tara Fitzgerald in the Mrs. Reed role, because in a way, they remind of each other. Still, I thought Fitzgerald was an odd choice for Mrs. Reed – a bit too young, and Hawkins isn’t exactly old enough either. Doesn’t say what part she has in JE’11, but she’ll be Daenerys in GoT, and she was Georgina Darcy in Pride and Prejudice ’05. She’s also been in The Tudors, apparently. I stopped watching after season one, as my reason for watching it (Sam Neill as Cardinal Wolsey) was killed off. I’m wondering if she’s supposed to be Blanche Ingram. If so – she’s blonde! I know she was blonde in ’06 as well, but she’s “dark as a Spaniard” according to Brontë. 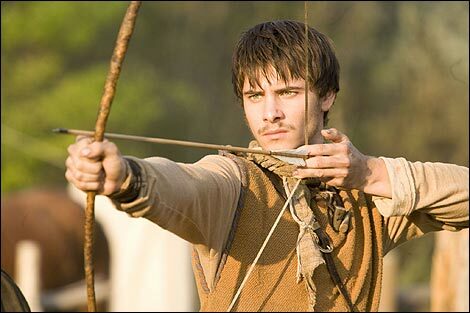 Lark Rise to Candleford (a costume drama I’ve not watched at all – shame on me!) unites Sandy McDade (Miss Scatcherd) and Rosie Cavaliero (Grace Poole). Not well-acquainted with either ladies, although Rosie looks familiar. Also, and which makes me clap my hands in delighted glee: They’re filming at Haddon Hall! 😀 I really hope they’re using it for Thornfield, and not “a non-descript room somewhere” – after all, Pride and Prejudice ’05 also filmed there… but only “Elizabeth’s room” or something like that, which is a bit pants. If they’re at Haddon, I want to see the tower, the courtyards, the turrets, the staircase, the long gallery and everything else! Almost a shame I’m starting to work full-time in a couple of days (in Derbyshire, as it happens, but not exactly near Haddon Hall), or I would totally drive up there and camp out. Ah, one can but dream. 8 Responses to "JE’11 casting"
It does look like a great cast. I agree with you about Judi Dench, but she’s not a scene stealer, she’s such a magnificent character actress that I am sure she will blend right in. I would like to see Haddon Hall since you are so enthused about it. I will be visiting England in July so it would be nice to see some of these wonderful places. I would love to see the great house called “Pemberly” in P&P 1995 too. 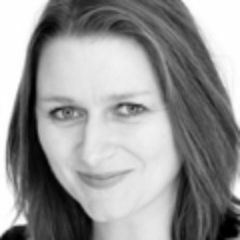 @Sissel: Yes, fingers crossed! 🙂 I’ve not read any George RR Martin (yet) but am looking forward to the adaptation. @phylly3: Oh, England is quite nice in July… weather permitting! My main reason for loving Haddon Hall is down to it being Thornfield in two previous Jane Eyre adaptations. Oh yes, plus I like old castles and houses and things… but mainly the Thornfield connection and that it’s not too far away from here (~53 mins) so it’s possible to pop over for a visit. 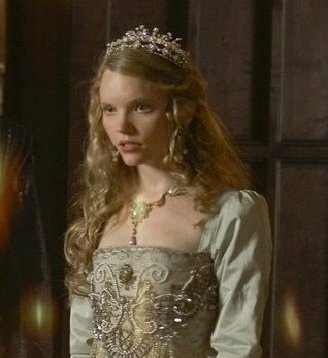 Oh yes, Tamzin Merchant plays one of Henry’s wives on The Tudors…I just realized she was also Georgiana. Now I’m not so sure I can watch her get beheaded in the upcoming season. What do you think of Michael Fassbender as Rochester? @Bee: Hmm… I’ve not quite decided yet. I’m hoping he’ll be good. The man can brood! He could do with a few more years on him (he’s 33, Rochester’s 38-ish) but I’m trying to keep an open mind. Will be difficult to beat Toby Stephens, but we’ll see how it goes. What do you think? Poor film-makers, they have a lot of expectations on them because JE’06 opened up for a hoard of new fans! I agree it’s going to be tough for them to raise interest. I agree that M.F. is a little young to be Rochester, but after seeing him in Hunger I have no doubt that he’s up to the part. I wish I could say the same thing about Mia, I saw ‘Alice’ and thought she was very bland. Jamie Bell is a really good actor but not who I would picture as St. John! He is very young, but was St. John so much older than Jane? I will try to keep my hopes up! If I remember it correctly, St John is supposed to be late 20s, so still 10 years older than Jane. Haven’t seen “Alice” yet unfortunately, and I didn’t pay special attention to her when watching “Defiance” (if only I had known she would be the next JE beforehand…!) but from what I can remember she was okay in that. Judi Dench portrayed a mild mannered character in “CRANFORD”. She can pull it off.